Oxygen is making some serious cuts. Deadline reports the network is planning on cancelling the series Bad Girls Club, Sisterhood of Hip-Hop, and Battle of the Ex Besties as part of its rebranding as a crime-themed network. Additionally, Oxygen is also reviving the cancelled TNT series Cold Justice and has ordered a new show called The Jury Speaks. Both are slated to debut later this year. 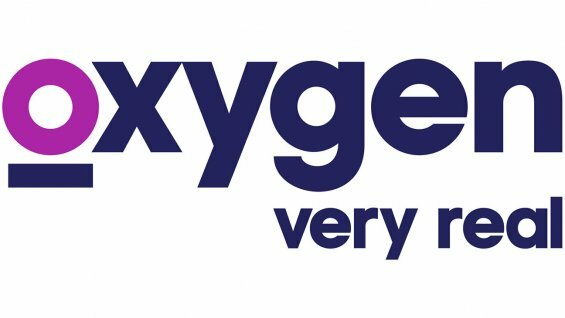 Bad Girls Club, Sisterhood of Hip-Hop, and Battle of the Ex Besties will end when Oxygen rebrands itself this coming summer. Bad Girls Club is one of Oxygen’s longest-running programs. The unscripted series ended its 16h season in December and has a planned 17th season set to debut on February 14th at 8 p.m. ET/PT. What do you think? Do you watch Bad Girls Club, Sisterhood of Hip-Hop, and/or Battle of the Ex Besties? Are you sad they’re ending? More about: Bad Girls Club, Bad Girls Club: canceled or renewed?, Oxygen TV Shows: canceled or renewed?, Sisterhood of Hip-Hop, Sisterhood of Hip-Hop: canceled or renewed?, The Battle of the Ex-Besties, The Battle of the Ex-Besties: canceled or renewed? I absolutely love BGC I don’t think it should be cancelled just for the fact that it helped me be more confident and stand up for what I believe!!!!! I loved battle of the ex besties the competition was real!!!! Fun and exciting with a lil twist of drama ! Someone needs to fire francis theres enough crime in the world , let the news channels handle that genre and put bgc back on the air. Theres a reason why bgc has lasted. Its not just about fighting . Some of us girls watch because we are real life BAD GIRLS. And we actually learn from the show. Theres a whole new generation off bad girls yet to come. Your ratings will drop. Bad Call Francis. I’ve watched Bad Girl’s Club since season one. I was hooked. And habe watched every season after. Each hooking you in. A show that you grow to like or dislike these girls and truly become part of the group somehow. But Making Oygen all crime is a HUGE mistake. Sad! This show should be sold to another station. It’s that addicting. it’s like they proud that young kids and young women like watching wifes killing their husbands. They ruin what BGC was and made it just about fights. WHAT THE ****?! they can’t just cancel these show so they’re the last very few good tv shows still out there … wow!!! Sisterhood of hip hop has actually been one of the very few shows I personally enjoy on tv. I love the story lines, the adversity & adore the heart of the music, also I respect the hard work these ladies put into attempting to be successful. They have their drama but seem to bring it back together when necessary.